Q. What do you feel is the biggest time management issue that businesses face today? A. Lack of respect. We are late to meetings because we know we can be, we don’t return phone calls because we know they’ll call back, we blow deadlines because we’re sure we can get away with it. The single most effective technique for better managing your own time is to better respect everyone’s time—not just yours. You’ll teach others how you want to be treated. Q. Do you think time management is better today than it has been in years’ past? Why or why not? A. Today, we’re saddled with more distractions and interruptions than ever before. Partially this is caused by technology, which inserts itself into our lives with beeps, flashes, and vibrations. But mostly it’s due to an instant-answer culture which values getting information faster rather than getting it right. Q. What are some common mistakes people are making with their time management? A. Too many people confuse being responsive with being available. Managers pride themselves on an “open door policy” which means, in part, that anyone can wreck their concentration with a non-urgent question. Employees are tacitly expected to respond instantly to emails and phone calls—even after hours—thus preventing them from recharging with family, friends, or sleep, as well as ruining their ability to focus on long-term tasks. Q. What resources (software apps, processes, books) do you recommend for better time management? A. There are three unbelievably cost-effective tools needed better manage your time: a judiciously-maintained personal calendar, and aggressively detailed to-do list, and an additional screen for your computer. Most people are surprised that adding more displays increases your productivity, but every study shows this to be the case. Q. How can companies better manage employees and encourage productivity? A. Freedom. The best way to encourage productivity is to encourage individuals to take ownership over how they manage their own time and resources. This is a wonderfully self-correcting process: we want people who are self-starters and are able to operate independently. Granting workers freedom over when, how, and where they work creates proof of their work ethic in a way that trying to control them cannot. Q. How do you feel about employee time tracking (and/or time tracking in general) as it relates to productivity? A. Largely speaking, time tracking is counterproductive. If we measure or charge by the hour, we incentivize working more slowly. After all, why get work done faster if you still have to keep working? It can be valuable to track time for resource planning and scheduling, but just like watched pot never boils, a closely monitored employee will be more worried about screwing up than getting things done. 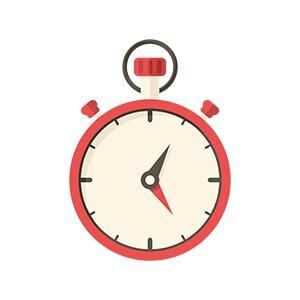 Read common myths about time tracking debunked. Q. You have talked a lot about managing one’s email as it relates to productivity. What are some tips you can offer on email management? A. Resist the urge to check email continuously and respond right away. Instead, set aside time to process email, and deal with the oldest messages first. This establishes a pattern with email partners that is more reasonable and more honestly reflects the nature of email as opposed to face-to-face or telephone communication. Q. How do you approach business improvement at Accelawork? A. We listen. The best way to consult on making a business better is to let people tell you what they think is working and not working. And then, we observe. The way you say you operate is often quite different than how you truly function. Finally, we coach and advise. Change requires ownership. No suggestion will be earnestly followed unless people believe they are part of the process. Q. Any other time management or productivity tips you’d like to share? A. Follow us on Twitter at @accelawork where we share a tip of the day every morning. Be respectful of your own as well as others’ time. Slow down and focus on managing important tasks, not just responding to every request as it comes. If your company chooses to track employees’ time, make sure you are allowing your team to work independently. Set aside time to manage and process your emails, starting with the oldest emails first. Thank you, Robby, for your insight as well as your time management tips! Let me know in the comments section if you’d like to see more interview posts on productivity, time management or other similar subjects in the future. Robby’s company, Accelawork, focuses on business process improvement through sales training, consulting and coaching to help companies work smarter. Robby speaks regularly on topics of business management, time management and productivity, and has also written several books, including his latest: “The Battle for Your Email Inbox.” For more information, you can contact Robby Slaughter at 317-493-0278 or visit his company website at www.accelawork.com.